saleove I bought a necklace and bracelet from her. I am very happy. Value for money, very worth it. A very lovely and friendly seller. Hope to deal with her again next time. 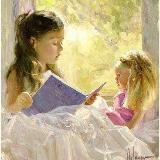 Thank you for your support and kind compliment. sweigin123 Great transaction. Item was v beautiful and she offered to adjust length if necessary. delarue Friendly n accomodating seller! My 2nd buy. Thank you for your prompt reply for my request. Pleasant transaction! @kristen49 is on Carousell - Follow to stay updated! A beautiful 14K gold filled bracelet with an attached Catholic Miraculous Medal also known as Medal of the Lady of Graces. 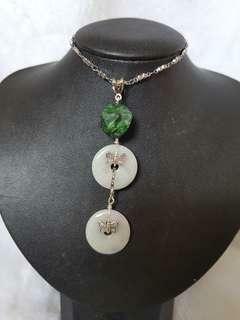 Handmade and is my own creation using a natural green jade donut, a jade piglet snd several Swarovski crystal pearls. 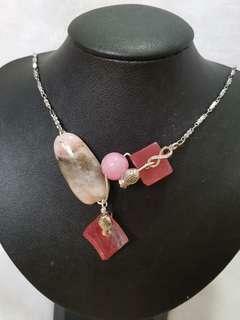 This unique and attractive looking piece of accessory is appropriate to wear for all occasions. 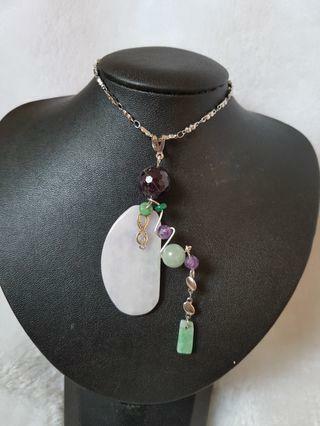 Handmade and is my own creation using a natural piece of crescent shaped lavendar jade, a faceted Amethyst bead, jade bead and a rhodium with the letter '8'. This is unique and trendy looking. 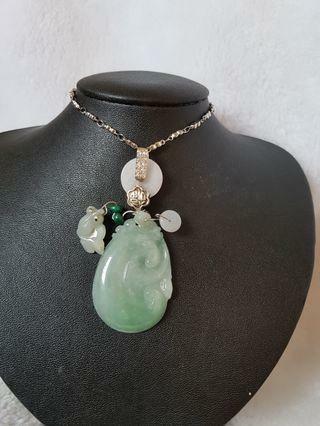 Handmade and is my own creation using a natural jade with carvings of a ruyi, a jade fish, jsde donuts and a rhodium with the Chinese character 'Fu' meaning luck or wealth. 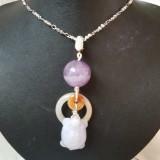 This is a very meaningful piece of jade wear. 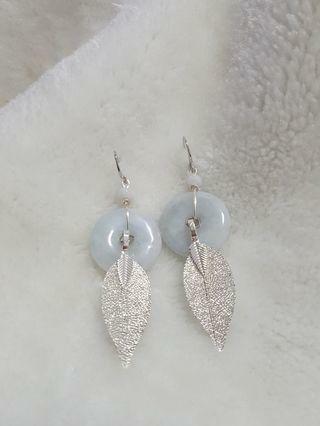 Handmade and is my own creation using natural jade donuts and rhodium leaves. 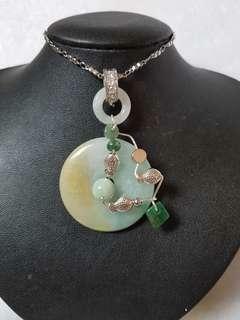 Handmade and is my own creation using a natural jade with carvings of a 'Ruyi', a jade donut and rhodium fishes. 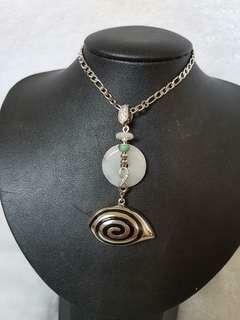 Handmade and is my own creation using a jade donut and a stainless steel piece with shell-like motifs. This is unique and interesting. 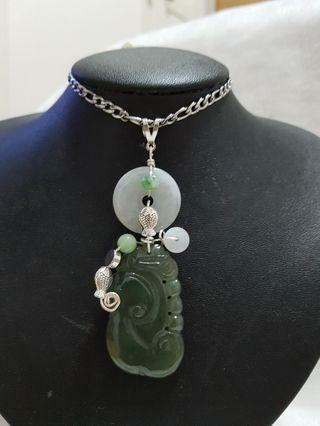 Handmade and is my own creation using a jade piglet and stainless steel chain. 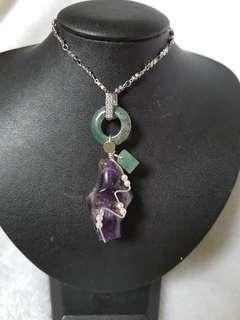 Handmade and is my own creation using natural jade donuts and Ruby Zoisite. 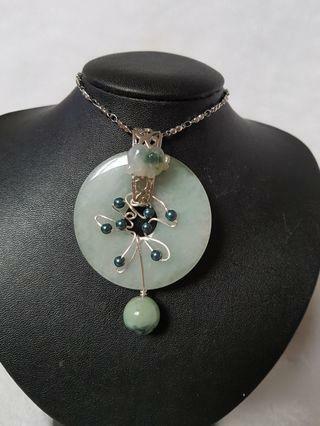 Handmade and is my own creation using a large jade donut, a silver piece with the Chinese character 'Fu' meaning luck on it, rhodium butterflies, odd shaped jade and an orange agate giving this piece great contrast in colour. It's beautiful. 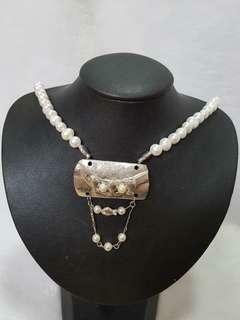 Handmade and is my own creation using beautiful freshwater pearls and rhodium plate and fishes. 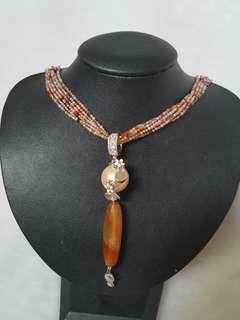 I can't capture the beauty of this piece with my hp camera but it is a very elegant looking necklace. 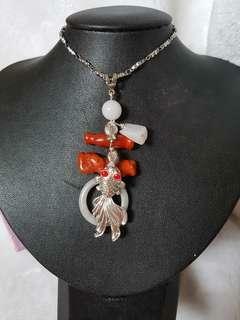 Handmade and is my own creation using Opal, agate and rhodium fishes. 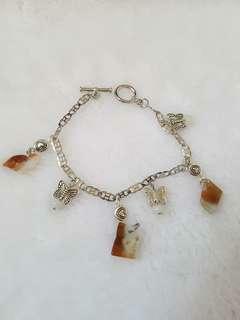 The chain is made of stainless steel. This is unique and attractive looking. 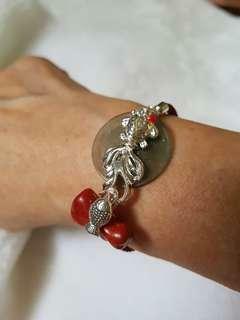 Handmade and is my own creation using a jade button, red coral, silver fish and an adjustable string woven strap. 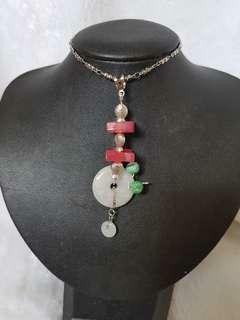 Handmade and is my own creation using odd shaped jade pieces, stainless steel anchors, rhodium fishes and stainless steel chain. 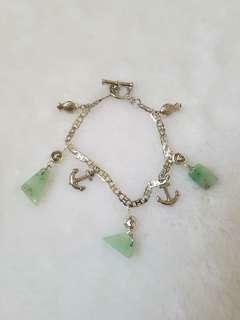 This is a trendy looking piece of jade bracelet. 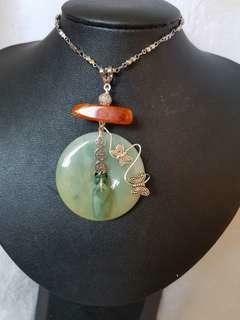 Handmade and is my own creation using odd shaped brownish green jade pieces and rhodium butterflies.